Wat is dit voor site? Wij zoeken de goedkoopste boeken op internet. The Amazing Transforming Superhero!vonden we het goedkoopst op Bol.com voor €48.99. We hebben gezocht in nieuwe en tweedehands boeken. Rechtsonderaan de pagina kan je het boek direct bestellen	via Bol	.com. 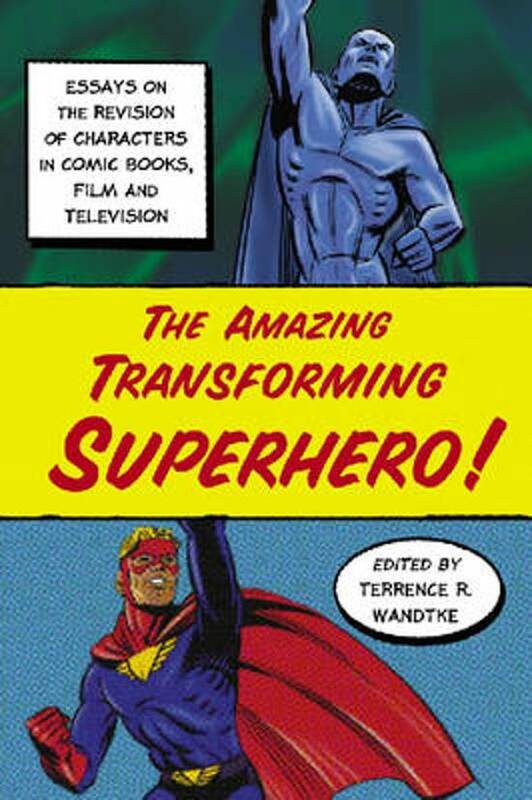 This collection of essays analyzes the many ways in which comic book and film superheroes have been revised or rewritten in response to changes in real-world politics, social mores, and popular culture. Among many topics covered are the jingoistic origin of Captain America in the wake of the McCarthy hearings, the post–World War II fantasy-feminist role of Wonder Woman, and the Nietzschean influences on the "sidekick revolt" in the 2004 film The Incredibles.